Petite&Jolie is a netlabel about cute and naive music of all genres! The aim of this netlabel is to focus the music itself and not the genre. Eventually, it could release more than mp3, eventually you could buy things from Petite&Jolie. 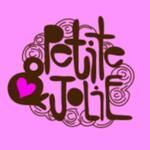 Petite&Jolie loves cats, dogs, turtles and many many more!